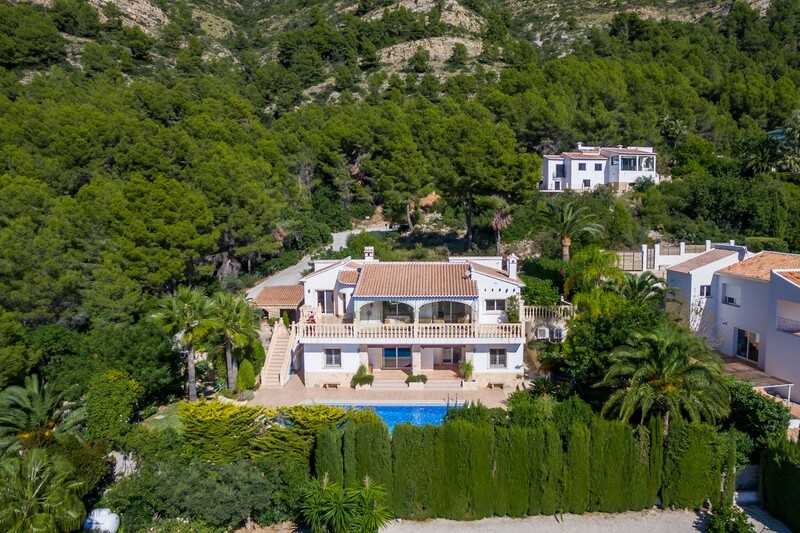 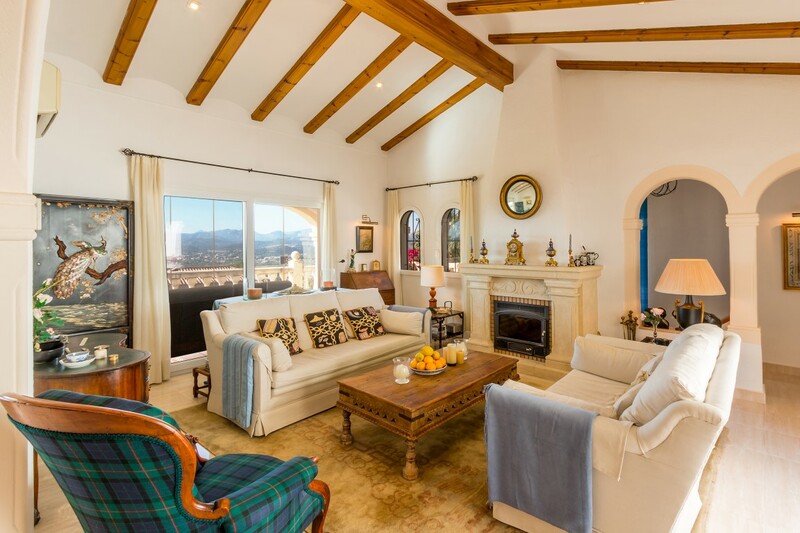 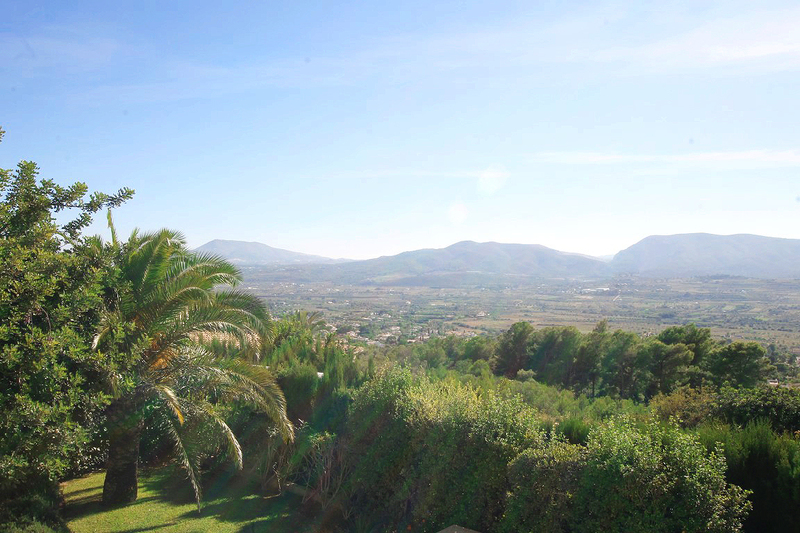 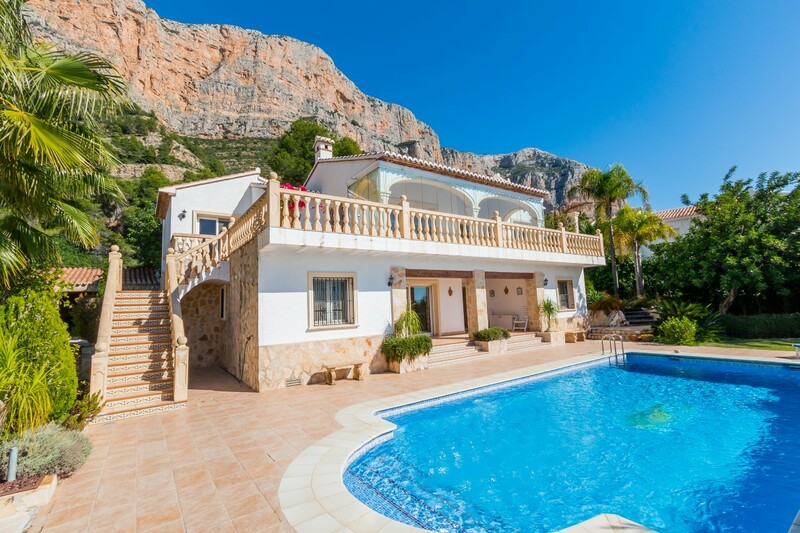 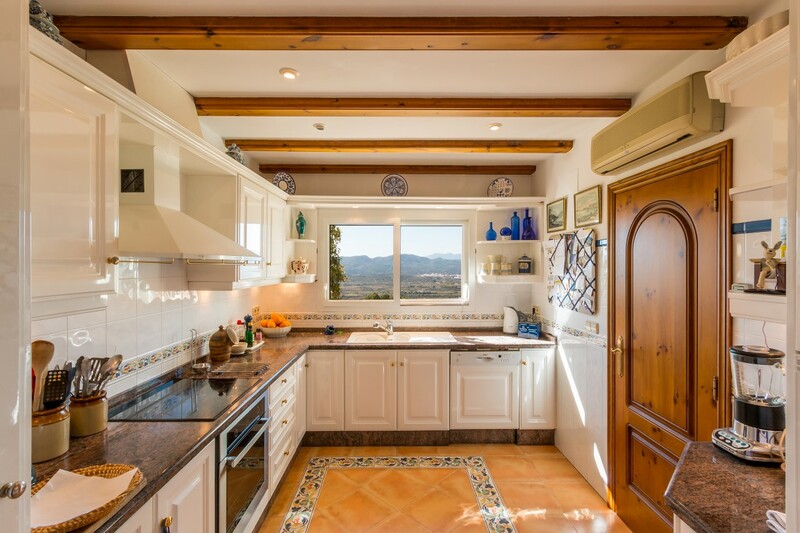 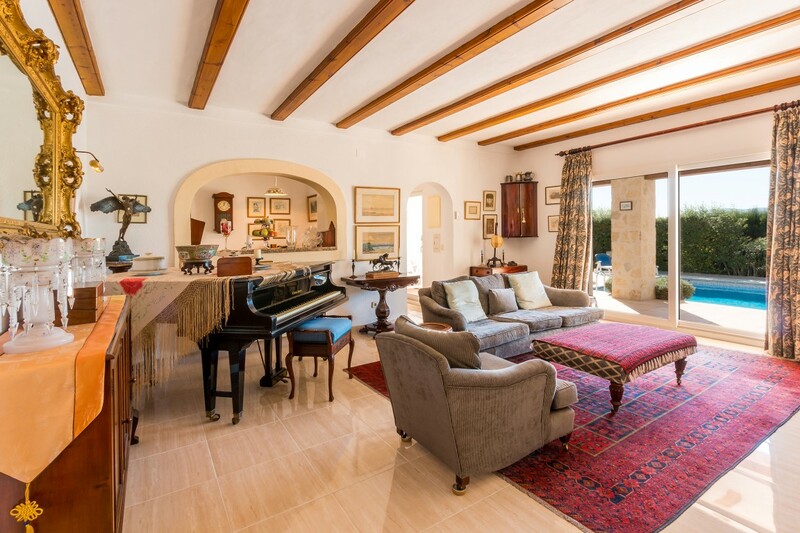 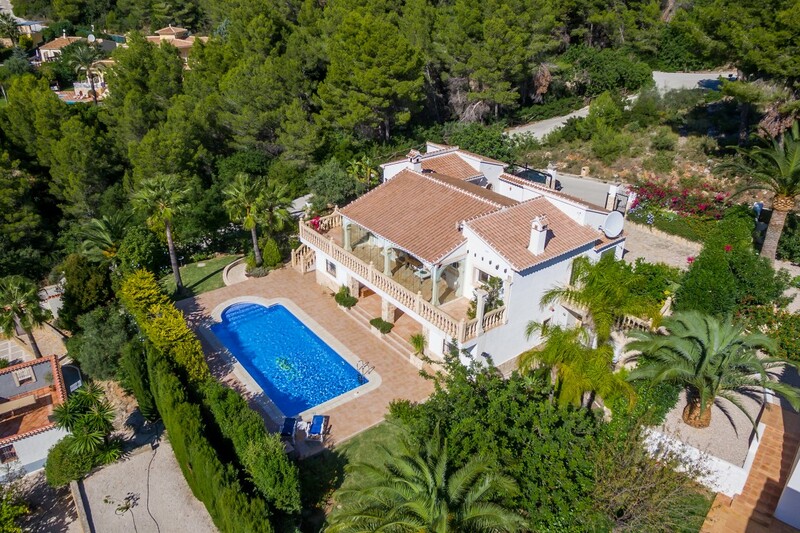 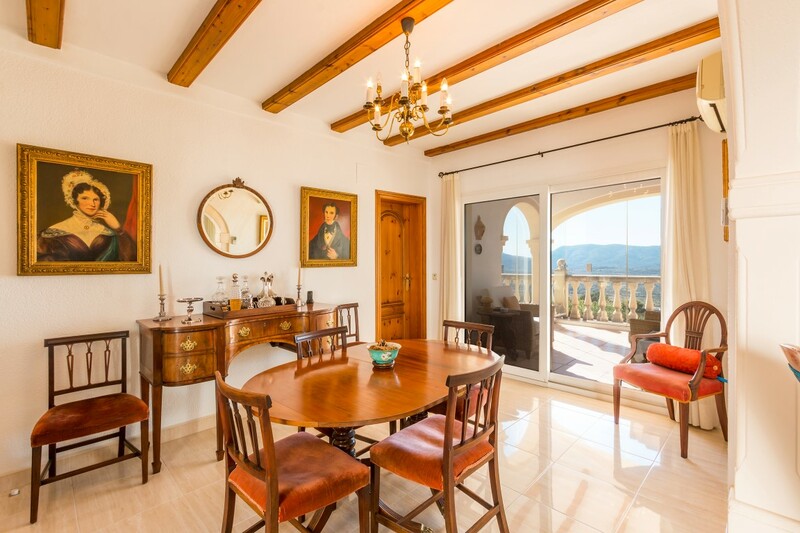 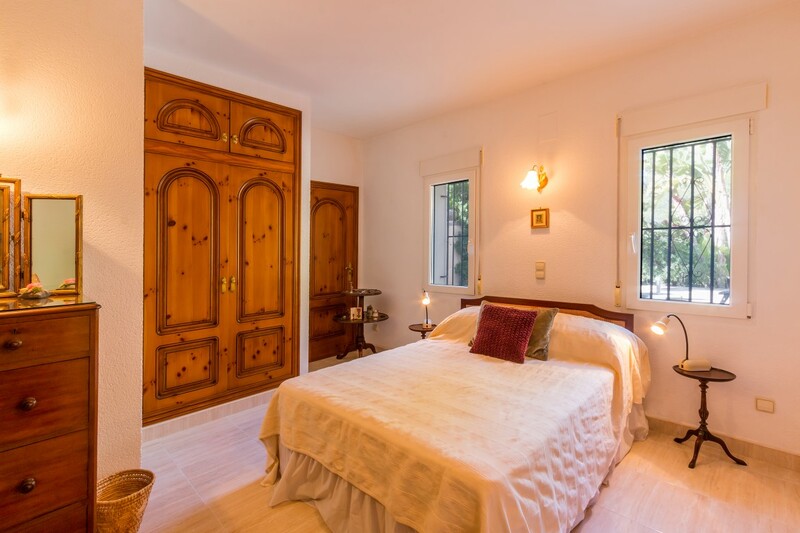 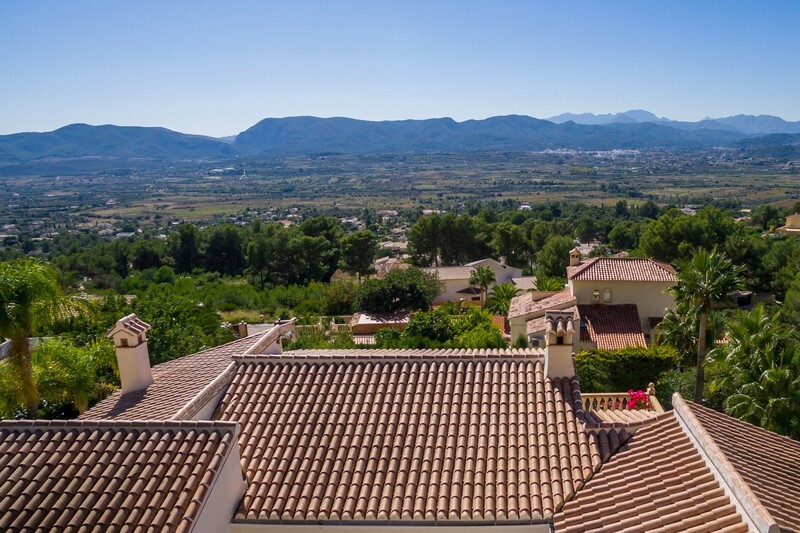 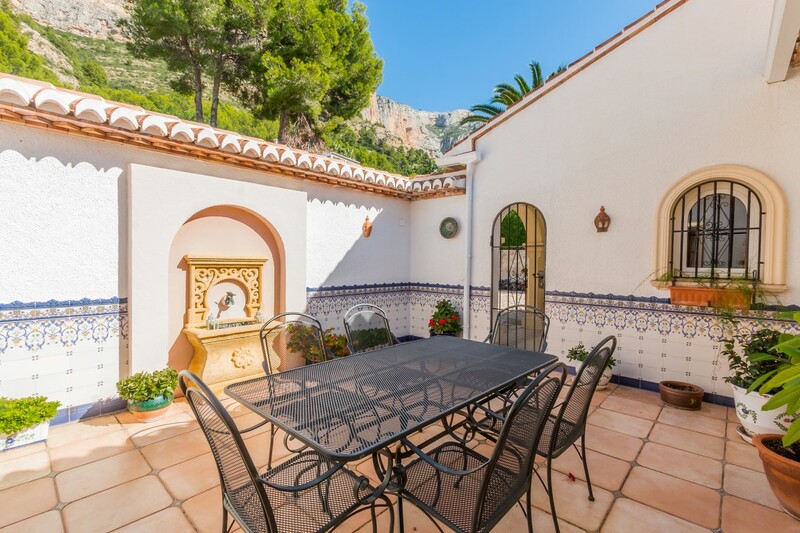 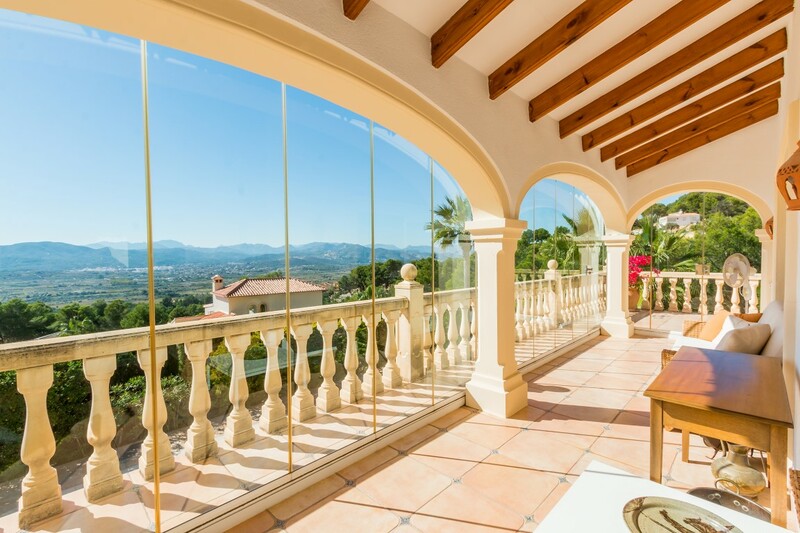 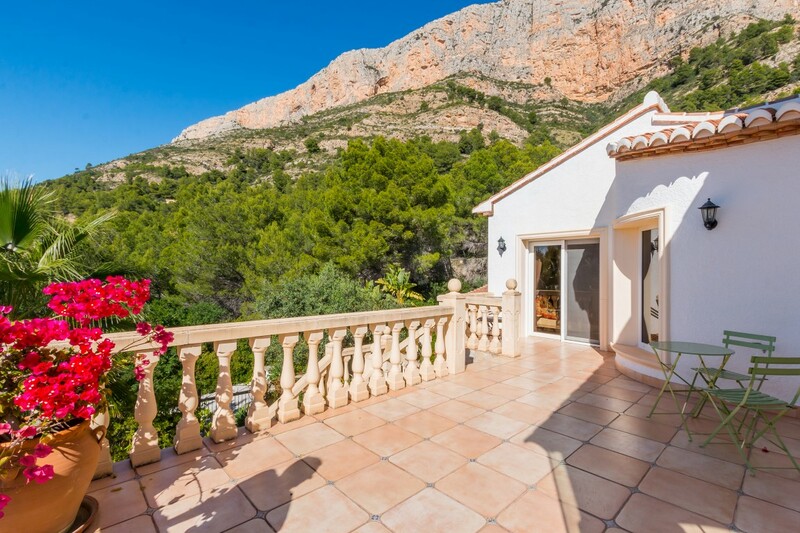 Montgo Javea luxury villa for sale, located on the upper slopes of the Montgo, with fantastic south facing views over the valley and the mountain as a backdrop. 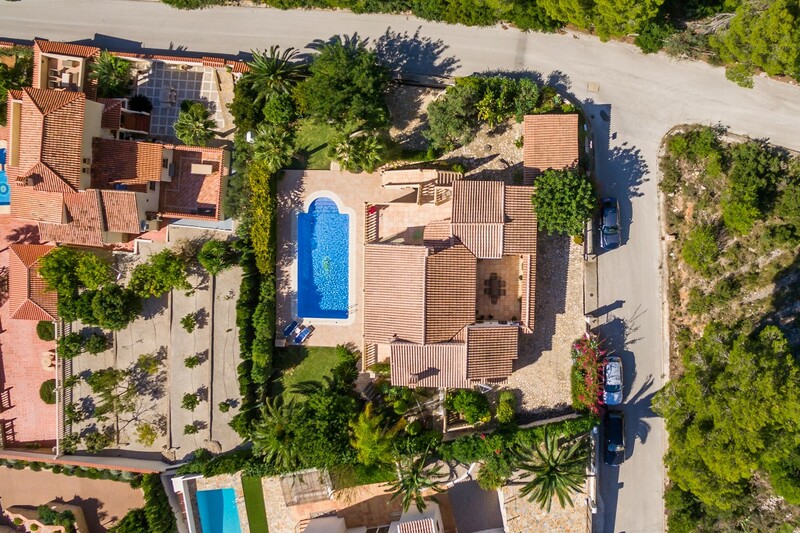 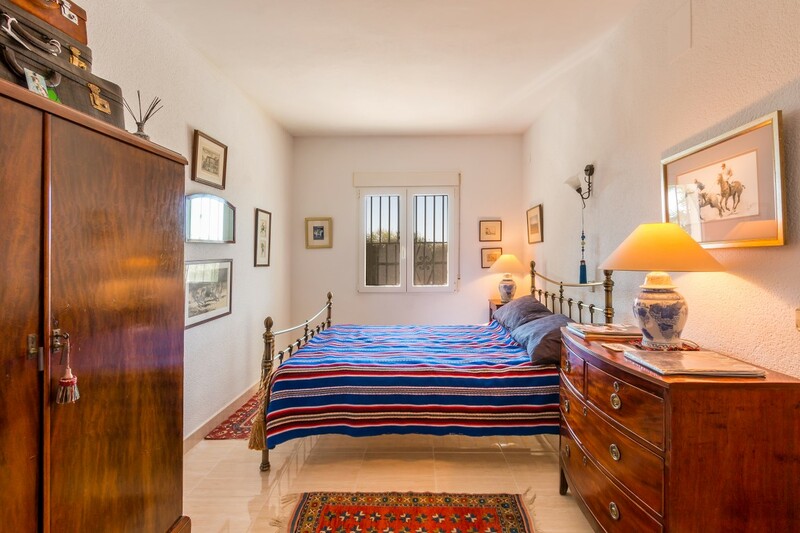 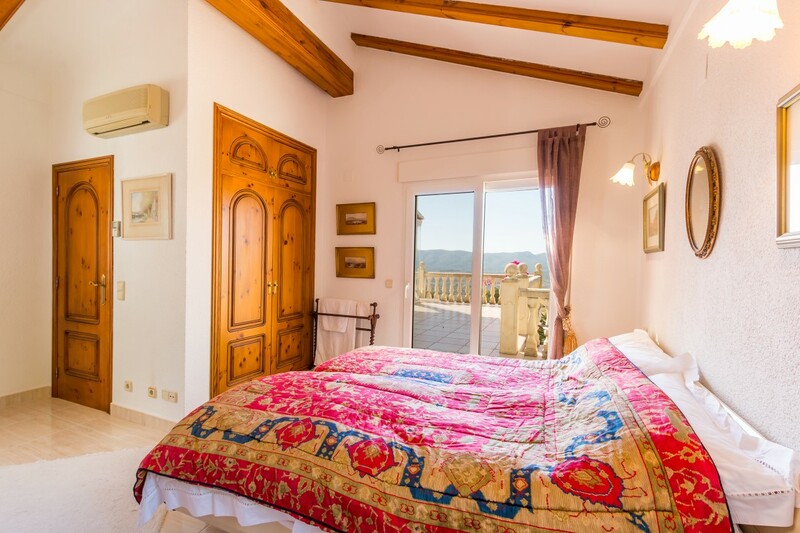 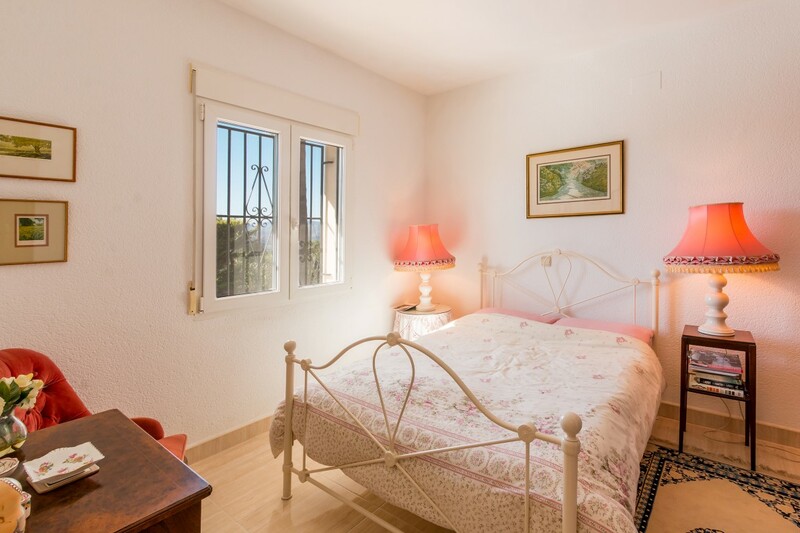 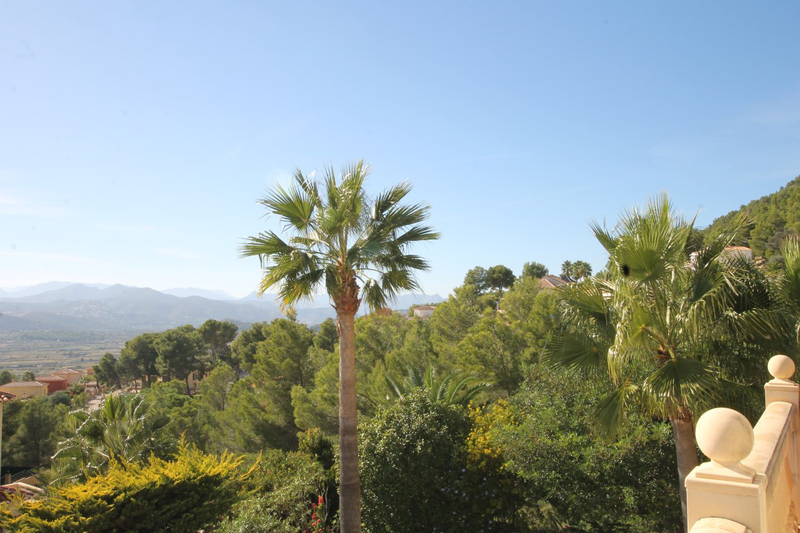 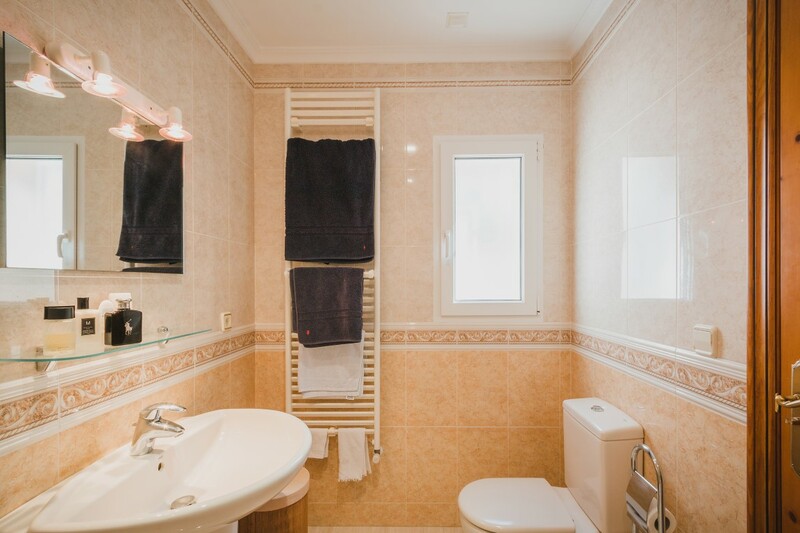 With the character town of Jesus Pobre, La Sella golf course and spa, supermarket and various restaurants nearby this property is ideally located. 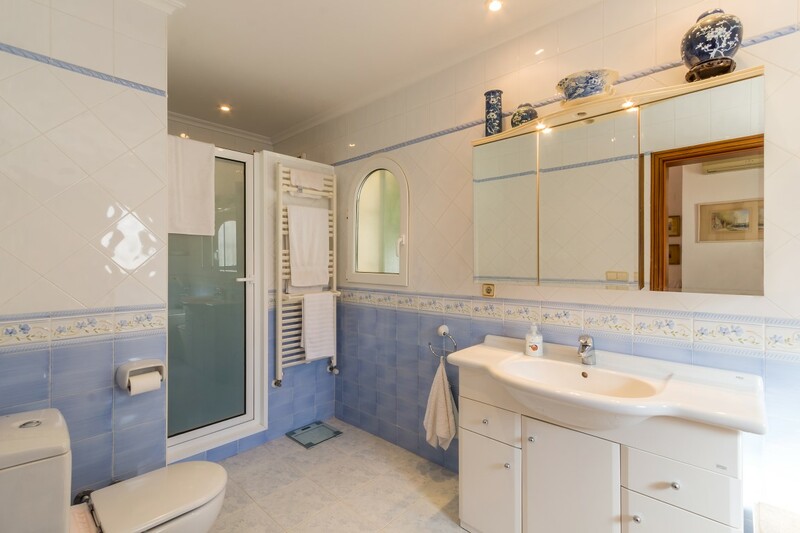 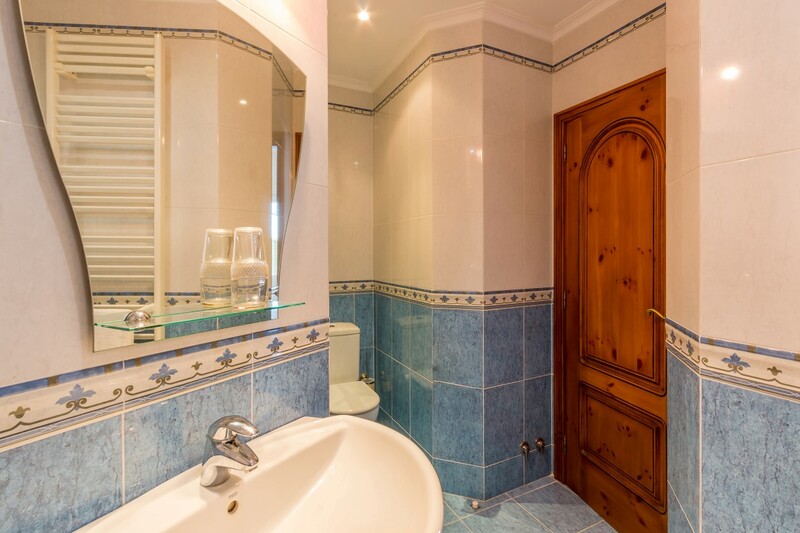 This 2 level villa was built in 2002 and has been very well maintained, featuring 4 bedrooms, all with en-suite shower rooms, plus a guest w.c. Each level has its own kitchen, dining room and living room, making it ideal for when visitors come to stay. 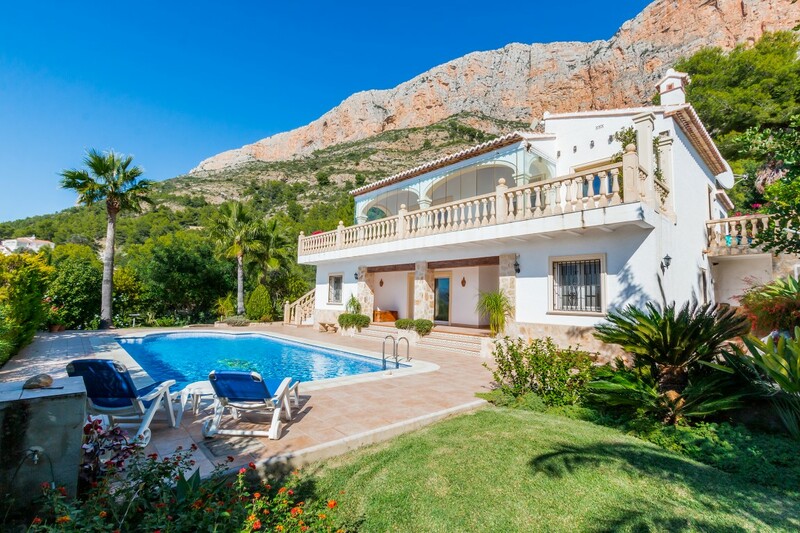 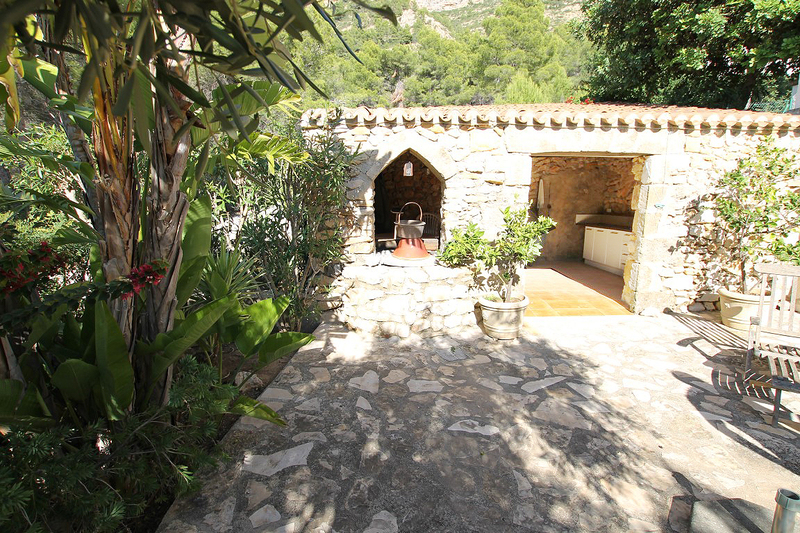 The outside area features mature gardens a 10×5m pool and lovely stone casita with summer kitchen and BBQ. 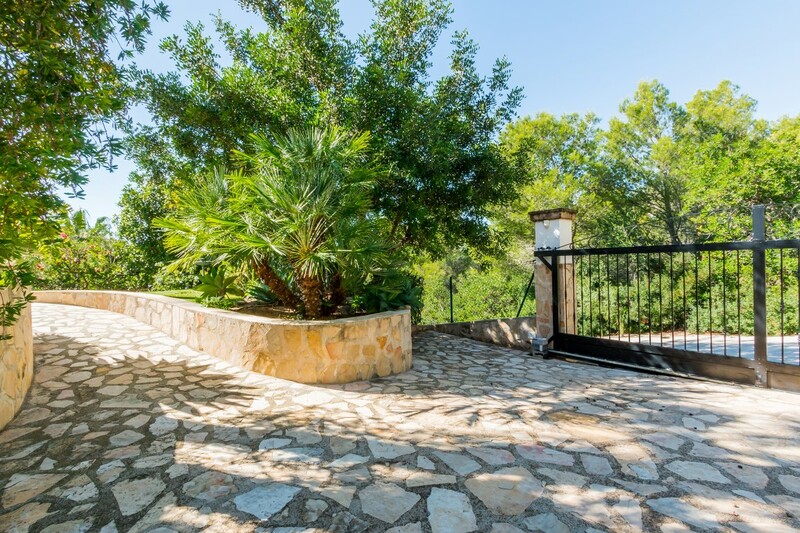 There is secure parking within the plot. 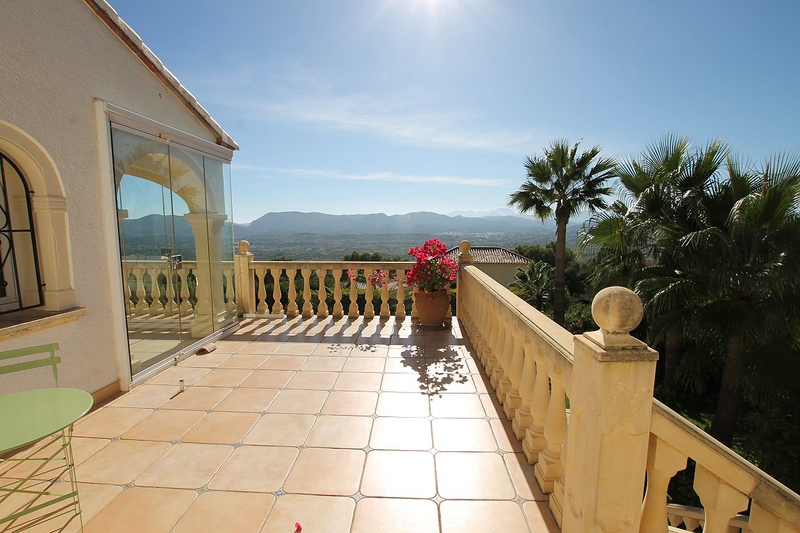 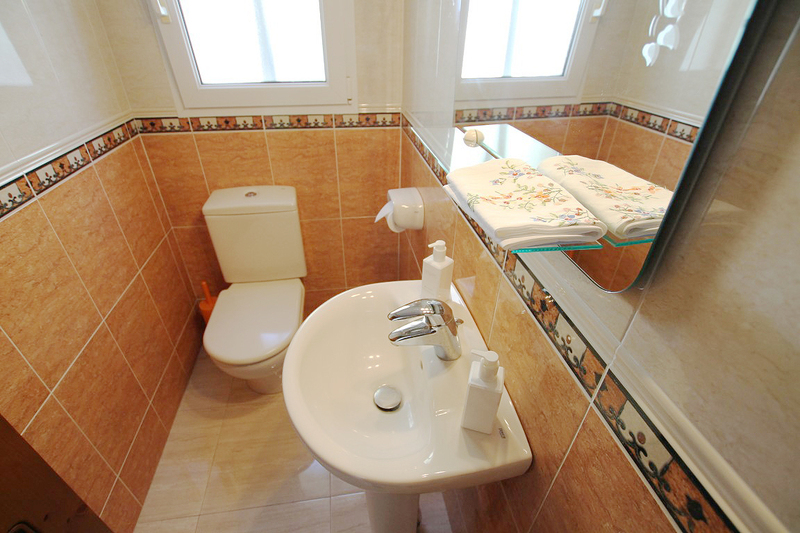 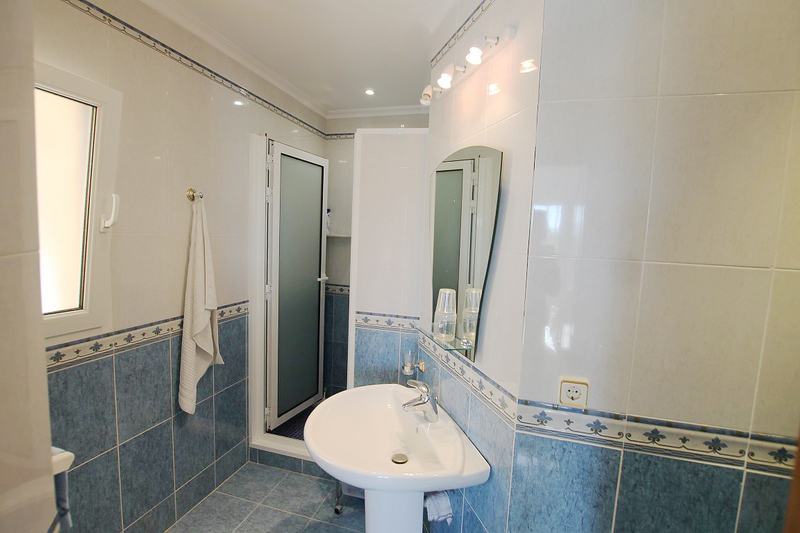 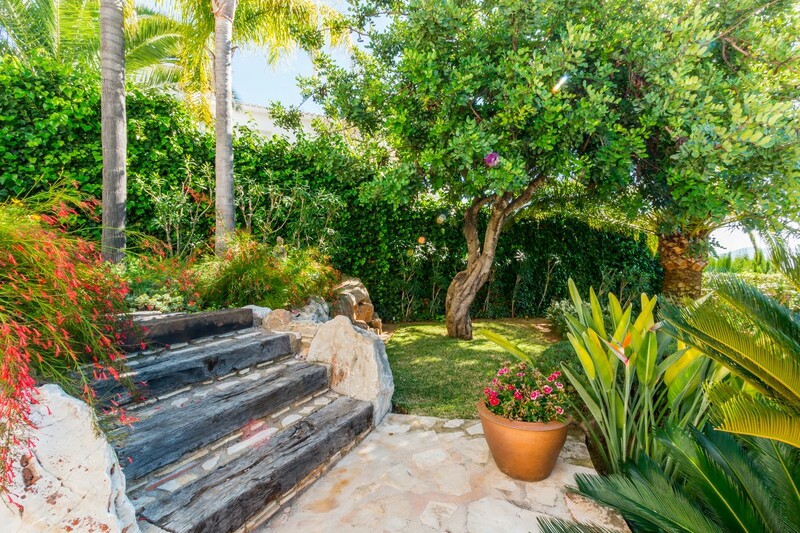 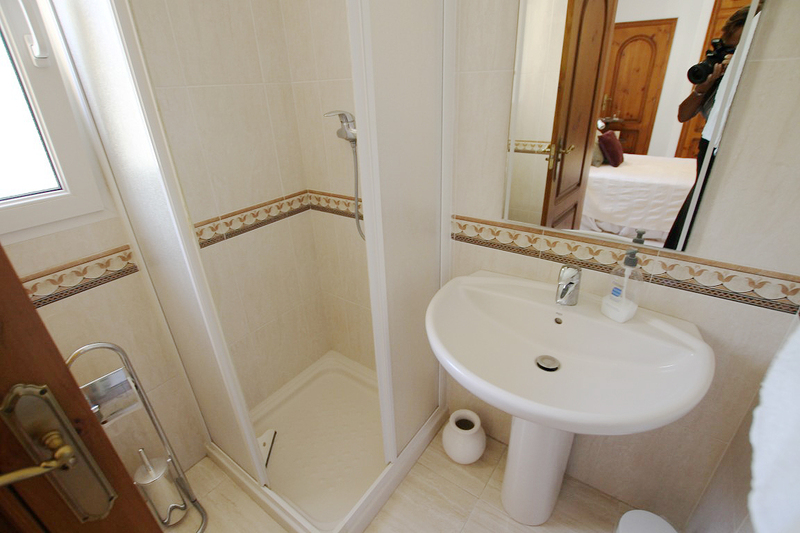 This property is located in a tranquil area, with all day sun. 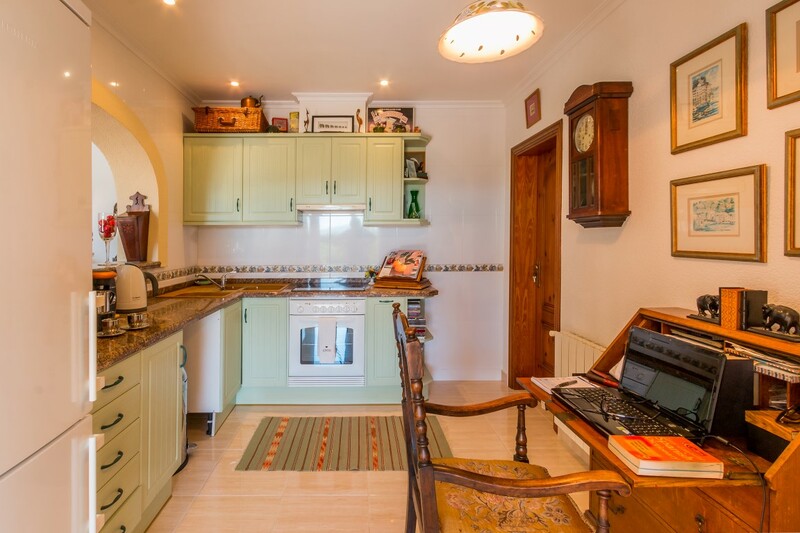 The upper level of the property would be suitable for wheelchair use with no steps between the car parking area and the house.